How Far is Citadil Kushal Project? 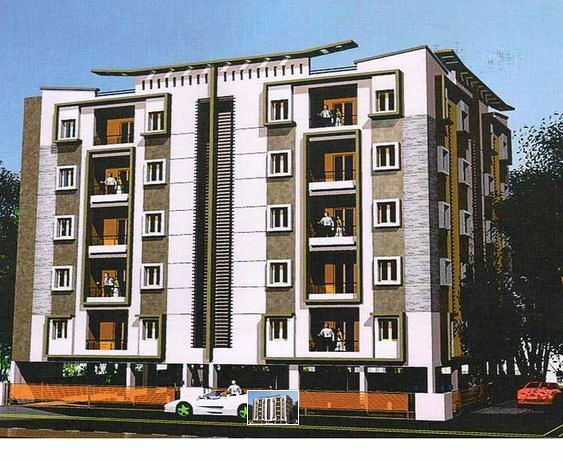 Kushal Project offers high rising apartments for those in search of quality homes. The architecture of the building has been designed by professionals, giving the apartments a spectacular look from the outside. The good quality interiors along with the luxurious amenities give a royal look from the inside as well. 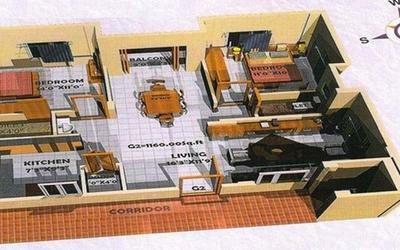 The project is a perfect collection of quality, class, luxury and lavishness. The apartments at Kushal Project consist of all the amenities and facilities required for a healthy lifestyle. The Truth Inside Structure RCC Framed structure designed for seismic forces. Solid Concrete (ISI branded)Blocks for all walls. Flooring Vitrified tiles in Living/dining/kitchen est bedroom areas. Bathroom,utility & balconies are Anti-skid ceramic tiles. Corridors and Stair-case are pre polished Granite. Kitchen Ceramic tile dado for a height of 2-0" over the Granite Counter, Stain-less steel sink with single-lever tap. Wash basin,EWC's (wall mounted) Chrome plated fittings (Branded) & suspended Pipelines. Main door-pre moulded flushed shutter and frame in teak wood, polished on both sides.Other internal doors- wooden frames and flush shutters with enamel paint.UPVC frames and sliding windows with clear (saint gobain)glass with mosquito mesh shutterr. MS designer grill with enamel paint. Plastic emulsion for interior walls with birla wall care putty. Ace for exterior walls.All railings in enamel paint. Fire-Resistance electrical wire (Anchor/Havells) with modular switches. Citadil Construction is well known company in the field of who has Builder Developer & Promoters a great amount of trust and loyalty from its patrons over all these years. Our aim is to provide premium quality homes at an affordable price point. We place customer satisfaction above all else, and work with only the best suppliers and materials to ensure that we deliver homes, not just houses. Our services are known for its contemporary design, innovation, clear and legal titles and scheduled completion and have been actively participating in the high growth opportunities offered by Indian Infrastructure Industry, more specifically in the construction and real estate sector. Our satisfied customers are our strength to come up with new projects to meet the market requirement of this Silicon Valley, Bangalore. Our commitment is to deliver quality project with affordable cost on the scheduled time.